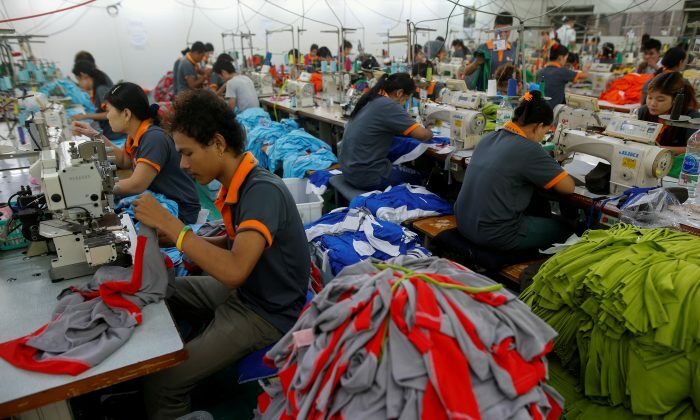 HONG KONG/BANGKOK —Fred Perrotta spent four years building a network of Chinese suppliers for his line of trendy backpacks, but as soon as the United States announced tariffs on almost half of its Chinese imports, he started looking for suppliers in other countries. Perrotta’s company, Tortuga, is joining what industry experts say is the biggest shift in cross-border supply chains since China joined the World Trade Organization in 2001. In Thailand, SVI Pcl which provides electronics and manufacturing solutions, said it has just selected four new deals worth about $100 million with existing customers who have operations in China. KCE Electronics, Southeast Asia’s biggest maker of printed circuit boards (PCBs), has been contacted by U.S. companies who want to seek a new supplier to replace one in China, CEO Pitharn Ongkosit told Reuters. “We are on the cusp of the biggest sourcing disruption that we have seen in a generation,” said Stephen Lamar, executive vice-president of the American Apparel & Footwear Association, whose more than 1,000 members contribute over $400 billion annually to U.S. retail sales. Shifting production can take years to complete: firms need to secure funding, find the right suppliers, sort out new logistics— all while dealing with new legal and accounting issues in a country they may not know well. China’s sophistication in areas such as automation means no one country can replace China, said trade lawyer Sally Peng of Sandler, Travis & Rosenberg. Indeed, Trump said on Nov. 26 he expected to move ahead with raising tariffs on $200 billion in Chinese imports to 25 percent from the current 10 percent.